It makes the place feel looked after when damaged signs are repaired. Thank you Robert, that looks great! 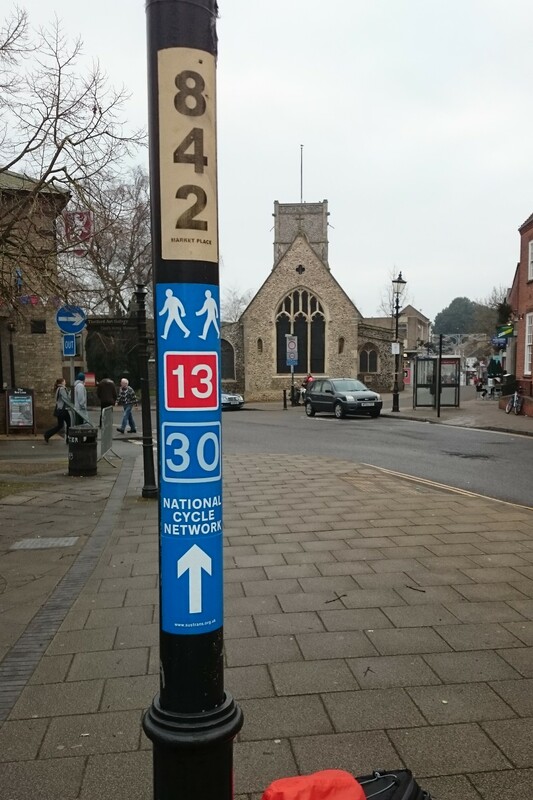 Shouldn’t the second one be rerouted to somewhere people can actually cycle? Ideally yes, but it’s only 200m of pedestrianised street here. 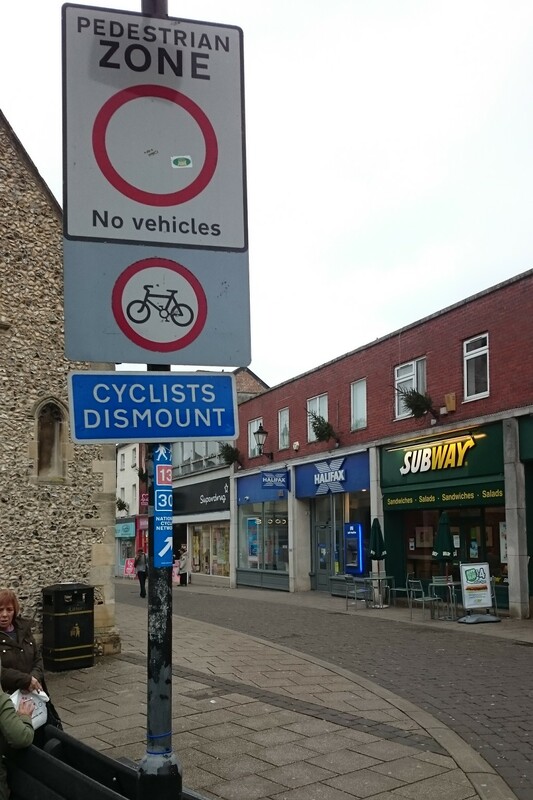 Given the one-way system and main roads around Thetford Town centre, there unfortunately isn’t really a better alternative if you want the route to take riders close to the centre of the town.